Bobby Kimball, Original Singer of TOTO, Returns With New Album ‘We’re Not In Kansas Anymore’ – Cleopatra Records, Inc. 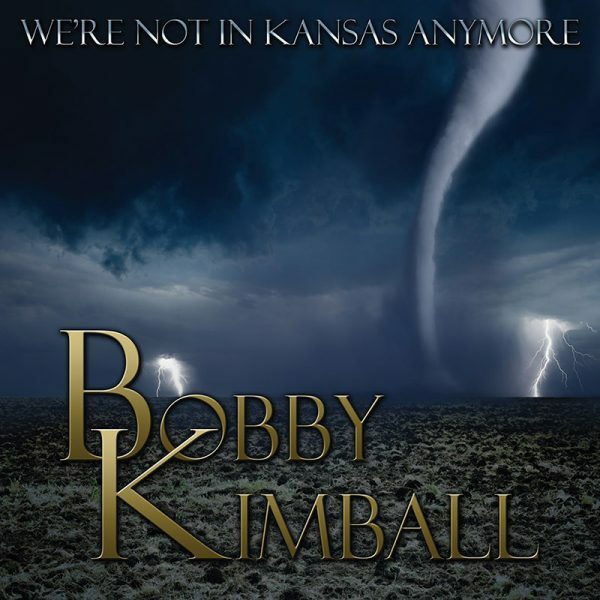 Legendary Bobby Kimball, original singer of TOTO, returns with a very special new studio album ?We?re Not In Kansas Anymore?. The highly anticipated new album will be released on Purple Pyramid Records on April 21, 2017. Says Bobby, ?As artists and musicians we live our lives chasing a dream ? the dream of expressing ourselves through the songs we create and sing. I surrounded myself with some of the best session players and songwriters in the business, and I feel you can hear and sense that when you listen to the music. To my fans ? I hope that I delivered an album that can be part of a songbook for your life, as it is for mine. God Speed.? Kimball’s music remains unmistakable – melodious rock with polyphonic arrangements and a great sound, and his distinctive voice is simply inimitable! Reteaming with producer John Zaika, WNIKA features stellar performances by drummer Joel Taylor, keyboardist Derek Sherinian (Dream Theater, Black Country), Mitchel Forman and more! Says John Zaika, ?I produced and co-wrote a project with Bobby Kimball in 1999, ‘All I Ever Needed.’ We’ve stayed in touch ever since. When the opportunity to write and produce a second project for this incredible singer and artist came along, I was excited to be involved. I knew it needed to have great songs, sound fresh, and stand out in today’s music world. So, as a team, we pushed hard to create a project that crosses over genres without sounding disconnected. I sought out some of the best musicians in the industry, worked with top engineers to help fulfill the experience, and we created a wonderful team with myself, Bobby Kimball and Dave Barnett here at Future Memories Music.? Also check out Kimball?s recently released collection of session work ?Mysterious Sessions? featuring three TOTO megahits plus songs by Pink Floyd, The Beatles, Aerosmith, Journey including an unreleased cover of Level 42’s “Something About You!!? The album also features guest appearances by Mike Porcaro (Toto), Nektar, Billy Sherwood (Yes), Patrick Moraz (The Moody Blues), Tony Kaye (Yes), Alan White (Yes), Derek Sherinian (Dream Theater) and others!